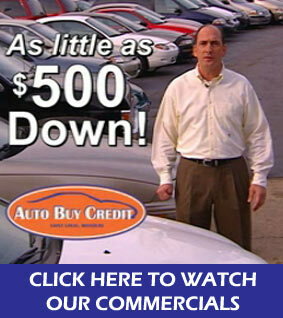 We are one of the oldest and most respected Used Car Dealerships in the St. Louis Metro area. At Auto Buy Credit, our goal is not just to sell you one car. We want to sell you, and your family and friends, cars for years to come. We have been in the Buy Here / Pay Here business since 1991. That’s over 23 years!! Why have we been able to do this for so long? Because we want our customers coming back year after year to buy cars and then refer other people to us. It’s that simple!! Come see us and see what makes us different from the rest! !